What is National Payments Corporation of India (NPCI) ? The umbrella organisation for all retail payments system in India,National Payments Corporation of India (NPCI) has reached a major milestone of successfully linking 15 crore bank accounts with Aadhaar number. Beneficiaries of all types of government subsidies /benefit transfers are expected to be brought under the linkage programme very soon. The current focus is on linking the bank accounts of 17 crore DBTL (direct benefit transfer for LPG) beneficiaries with Aadhaar numbers, latest by June 30, 2015. Such a framework of electronic benefit transfer will not only be unique but also be one of the largest in the world. The extent of leakage prevented due to this unique system will be visible on completion of running the scheme for about a year. 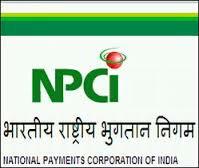 National Payments Corporation of India (NPCI was incorporated in December 2008. 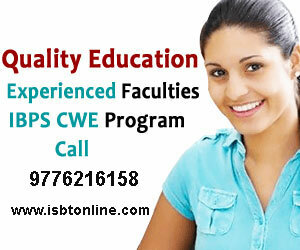 It'sCertificate of Commencement of Business was issued in April 2009. The company has been incorporated as a Section 25 company under The Companies Act 1956, is now under Section 8 of The Companies Act, 2013. Managing Director & CEO - AP Hota. The formation of NPCI is aimed to operate for the benefit of all the member banks and their customers. NPCI is now certified for three standards - PCI-DSS (sensitive data security in payment systems), ISO27001 (information security) and ISO 22301 ( business continuity) apart from ISO 9001( Quality Management). NPCI has successfully completed the major project of developing a domestic card payment network called- RuPay. Immediate Payment Service (IMPS) provided to 71 member banks, with more than 7.45 crore MMID(Mobile Money Identifier) issued, and crossed 6.5 million transactions. National Automated Clearing House - has close to 400 banks as Live. Aadhaar Payments Bridge System (APBS) has more than 358 banks as Live. Cheque Truncation System (CTS) has fully migrated in southern, western & northern grid from MICR centres. Aadhaar-enabled payment system (AEPS) - has 36 member banks. RuPay - Domestic Card Scheme- has issued over 7.5 crore cards and enabled 10,09,211 PoS terminals in the country. What is GIPC (Global Intellectual Property Center) ? What is Monetary Policy of the RBI ? IMPORTANT COMMITTEES IN BANKING SECTOR What is a Base Year ? What is a Scheduled Bank and what are the Criteria for a Scheduled Banks in India ?